Though there is general consensus that claimants to the South China Sea should set aside territorial disputes and cooperate to preserve the overexploited natural resources of the sea, no such means of cooperation have yet been established. 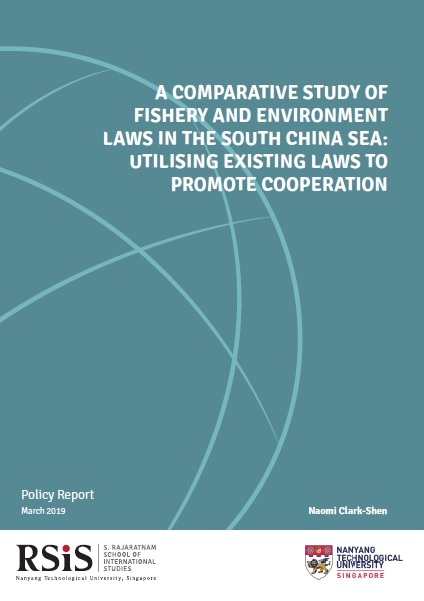 This policy report investigates whether such multilateral cooperation can be established by using existing similarities in the marine environmental laws and policies of claimant countries. China, Philippines, Vietnam, Malaysia, and Indonesia do indeed share similarities in their national laws and policies; most notably in the areas of destructive fishing methods and species protection. Agreements utilising these similarities could take a number of forms, including as the building blocks for a holistic agreement such as a Regional Fisheries Management Organization (RFMO); a smaller, focused agreement in just one area; or an agreement based on shared principles, such as around pollution. Showing claimant countries that there are similarities in their national laws may help to build confidence and serve as a less contentious route towards multilateral agreement.